2 - What is Coffee Cupping? 3 - What Do I Need When Cupping Coffee? What is Dry Fragrance? Wet Fragrance/ Aroma? How to Determine Coffee Flavor? What is Aftertaste? How Does it Differ from Flavor? How to Determine the Body of Coffee? What Do You Mean by Sweetness? What are Uniformity and Clean Cups? How to Rate the "Overall" Quality of Coffee? Does a Coffee Also Get Point Deduction? If you've been a self-confessed coffee aficionado for so long, the term coffee cupping might sound familiar to you. But do you know what coffee cupping is? Coffee cupping, as defined by Wikipedia, is "the practice of observing the tastes and aromas of brewed coffee". It includes lots of factors, techniques, and the Specialty Coffee Association of America (SCAA) even set a certain standard for this. So, imagine looking at the label of your favorite coffee beans, and seeing the terms "with hints of nuts, caramel, and chocolate". That label is a product of cupping! Well, this article aims to explain how experts assess the different flavors of coffee. And we'll help you answer what is coffee cupping. Before we discuss the process of assessing coffee flavors, it’s important to understand why coffee flavors vary. "Coffea" has about a hundred species, and the three most common types are Arabica, Robusta, and Liberica. Each species has different sets taste, caffeine content, qualities, and characteristics. The Arabica beans are the most common type of coffee beans for specialty coffees. Coffea Arabica originated in the tropical highlands of Ethiopia, Kenya, and Sudan. And the Arabs introduced Arabica beans to Yemen. Where your coffee comes from is also another factor affecting the flavor profile of your coffee. The type of soil, topography, the balance of sunlight and rain, and the temperature all affect the final taste of your cup. 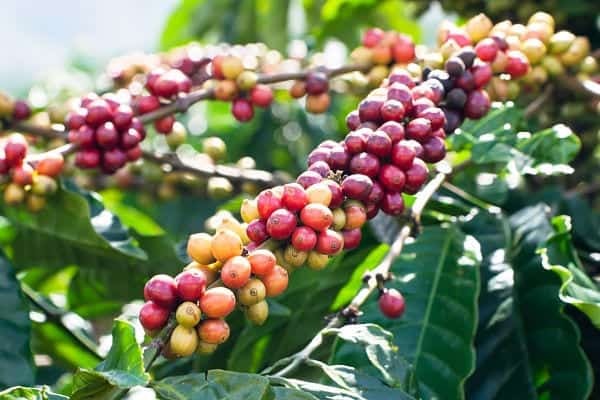 For example, the Jamaican Blue Mountain Coffee, which grows on the Blue Mountain with the altitude of 3,000 to 5,000 feet above sea level, is popular for its excellent taste. The Blue Mountain's tropical climate, high elevation, and volcanic soil mainly contributed to the smoothness Jamaican Blue Mountain coffee. After the species, terroir, and climate, let's now discuss the coffee farming standards. These coffee farming standards include fertilization, pruning, up until harvesting or picking. Coffee trees require five (5) years maturity before producing good quality coffee beans. And the higher quality coffee beans appear between seven to twenty years. Also, when harvesting, the hand-picked cherries taste better than machine-picked. Since cherries do not mature all at the same time, those who harvest using hand-picking harvests only the ripe cherries. Unlike with machine-picked which harvests everything, including unripe coffee cherries. Resulting in having the ripe ones mixed with the unripe. Another factor that affects the flavor profile of coffee is the processing of coffee cherries. Processing the coffee cherries means removing the coffee beans from the coffee cherries. The three types of processing are dry, wet, and pulp processing. The dry-processed has lower acidity compared to the pulp and wet processing. The length of storage and the container used is also essential in the final taste profile of the coffee. Those stored for a longer period of time loses its flavor over time. And those freshly harvested coffee beans are more flavorful. Also, the type of container used in storing coffee beans must protect it from unnecessary odor, air, and moisture. Provided that we have the best quality green coffee beans, they still have to undergo roasting. Before we can drink our favorite coffee, it has to be roasted first. And the four roasting categories are the Light Roast, Medium Roast, Medium Dark Roast, and Dark Roast. The roasting process greatly affects the final taste profile, caffeine content, and acidity of coffee. Also, the flavor of a roasted coffee bean reaches its full flavor around 4 to 7 days after roasting. These are the things affecting the smoothness, the body, acidity, and flavor of each coffee. After knowing all these factors affecting the taste of coffee, let's now start answering what is coffee cupping. Coffee cupping means assessing and recording the smell, taste, and flavors of roasted coffee beans. It started around the 19th century when merchants decide on whether to buy the coffee or not. And just a year before the 20th century, the Cup of Excellence competitions used cupping as the method to judge coffee qualities. The Specialty Coffee Association of America (SCAA) made an organized way of recording the results of coffee cupping, by providing a cupping form. This cupping form has 11 pointers to quantify and describe the quality of the coffee beans. The pointers are Fragrance/Aroma, Flavor, Aftertaste, Acidity, Body, Balance, Uniformity, Clean Cup, Sweetness, Overall, and Defects. We will discuss these items one by one below. Aside from these factors, SCAA also set standards for coffee cupping brewing method, coffee cupping grind size, and the roasting method. Setting standards for these things enables coffee cuppers to repeat the process of coffee cupping. And it allows comparison of similar coffee beans by repeating the procedure. After answering our primary question, what is coffee cupping, it's now time to learn how it's actually done. Sample Roaster - The coffee beans should be freshly roasted on the day of cupping, and cooled down for about 8 hours. Weighing Scale - Standard coffee cupping ratio is 8.25 grams of whole coffee beans per 150 ml of water. Prepare at least 5 samples for each type of coffee beans to ensure uniformity. Cupping glasses - Glasses made up of ceramic or tempered glass that can contain 7 to 9 fluid ounces (207 to 266 ml). The top diameter should be between 3 to 3.5 inches (76 - 89 mm) and must have a lid. Cupping glasses should also be identical, and uniform in size. Cupping Spoons - Tasters use large, stainless spoons similar to soup spoon. Hot water equipment - Hot water should be clean, odorless, and approximately 200 degrees Fahrenheit. It is not advisable to use softened or distilled water as these alter some of the coffee flavors. After preparing all these, we will now proceed on how to cup coffee. The SCAA's Cupping Protocols is the basis of this coffee cupping guide. Before anything else, the taster will first examine the physical characteristics of the coffee beans and take note of it. After that, the taster will smell the fragrance of the whole roasted beans. Then, the taster will sniff it again after grinding. The smell of the dry coffee beans and coffee grounds is what we call the dry fragrance. This dry fragrance varies from fruity to herbal to flowery to nut-like. 15 minutes after grinding, add the hot water (approximately 200 degrees Fahrenheit) to the coffee grounds. The coffee grounds will then form a "crust" on top of the cupping glass. Let the crust stay for about 3 minutes before gently stirring it three times. Make sure all the coffee grounds are wet. Since we prepared 5 samples for each type of coffee, you only to break a crust of one coffee at a time. Upon stirring it, you will smell the vapors coming out from the coffee. This is now the wet fragrance. The wet fragrance varies from chocolatey to hint to caramel. The combined rating of the dry and wet fragrance makes up the "Fragrance/Aroma" score. Detecting the flavor of coffee involves both the sense of smell and taste. Before tasting the coffee, the taster must first remove the crust on top of the cupping glasses. And since we used 200 degrees Fahrenheit temperature for water, it has to cool down first to 160 degrees Fahrenheit before tasting it. Once you removed the crust, and the coffee cooled down to 160 degrees Fahrenheit, it's time to taste the coffee. Tasters have to slurp the coffee to incorporate air and to splash the coffee all over the tongue area. By the way, you might ask if slurping coffee is rude. But, actually, there's no such thing as slurping coffee etiquette. SCAA came up with a Coffee Flavour Wheel Print to standardize the flavors we can find in our coffee. When you already have a printed copy of this Coffee Flavour Profile Chart, you need to familiarize yourself with the different terms. Then, if you are unsure on some of the terms used, review their meaning here. The World Coffee Research Sensory Lexicon provided taste references for each possible flavors found in coffee. You might want to taste these references first before cupping, so you can refresh your taste buds on how each flavor actually taste. And once you finished familiarizing yourself on the taste, you can start tasting coffee. Start categorizing the taste from the choices on the center, then work your taste buds going on the outer layer of the circle. Aftertaste is the positive lasting taste at the back of the palate, while the flavor is the first impression of our taste buds. Whether you swallow or spit out the coffee, a good quality coffee should have a lingering aftertaste. If the aftertaste doesn't last, the score on this factor is low. Acidity is coffee's liveliness, brightness, sweetness, and sparkling sensation when it is the right balance of acidity. While the unfavorable acidity can be described as sour, sharp, or bitter. Acidity is one of the factors noticed by tasters when they slurped the coffee. The Sumatran and Mexican Dark Roasts have low acidity, while a Kenya coffee has high acidity. The rating of coffee acidity varies not because of its acid content (high or low), it actually depends on how pleasant the acid tastes. Body refers to the tactile feeling of density, consistency, weight, and texture of the coffee to your mouth. You determine the body of a coffee by concentrating on its mouthfeel, lightness or heaviness. Is the mouthfeel grainy, oily or watery? The top 3 best full-bodied coffees are Kenya AA, Sumatra Mandheling, and Guatemala Antigua. The balance of the first four factors is important to get a high rating on "Balance". There should be no overpowering Flavor, Aftertaste, Body, or Acidity. These four factors should create a harmonious and pleasant balance of taste. Sweetness refers to the intensity of the coffee sugars without the harsh or unpleasant taste. The sweetness in coffee is a product of amino acids, sugars, and alcohols. Usually, the lighter roasts have a sweeter taste than the darker roasts. Some of the coffees known for its sweet/ chocolate notes are Guatemalan Antigua, Costa Rica Tarrazu, and Burundi Kayanza. Since we use 5 samples for each coffee, the consistency of the taste and flavor is the basis for the score of Uniformity. The taste from the first up to the fifth sample should be the same, to get the highest score. While the clean cup refers to the absence of unpleasant taste, like burnt or other non-coffee flavors. The Overall rating of the coffee depends on how well it ranked on the first mentioned categories. When the taster combined everything, from its flavor to its uniformity, plus the personal preference, that's how the overall rating appears. There are two types of "defects" that lessen the score of a coffee during cupping. First is "taint", this is the noticeable unpleasant aroma when drinking a coffee. However, this unpleasant aroma doesn't overpower the whole coffee experience. And the second one is the fault. Unlike taint, fault greatly affects the overall flavor profile of coffee, making it an unpleasant coffee. Taint has a 2 point deduction, and the fault has 4, depending on the intensity of the defects. Now that we defined all the terms relevant to coffee cupping, I'll show a sample of coffee and their coffee cupping notes. Turn off mobile phones, or put it in a silent mode to avoid distraction or distracting others. If there are other people in the coffee tasting class, do not compare your results to them during cupping. Avoid distracting them. Concentrate on tasting and feeling your coffee. You can compare notes after the actual cupping session. Each taster should have their own spoon. No sharing. The whole article is about answering the question what is coffee cupping. Coffee Cupping is a method to assess, record, and compare the flavor, aftertaste, body, acidity, balance, uniformity, sweetness, cleanliness of the cup, defects, and overall taste profile of the coffees. 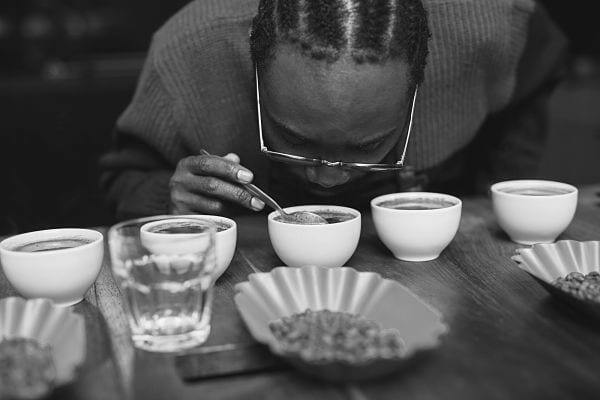 During cupping, the tasters use the sense of sight, smell, and taste to evaluate the results properly. The Specialty Coffee Association of America (SCAA) set a certain standard on how to conduct coffee cupping. They have set rules on the roasting time, grinding, grind size, water temperature, and preparation. They also came up with the helpful tool called the coffee flavor wheel, for ease in identifying the flavors of coffee. The main flavors of this coffee flavor wheel are roasted, spices, nutty/choco, sweet, floral, fruity, sour/fermented, green/vegetative, and others (chemical/papery). 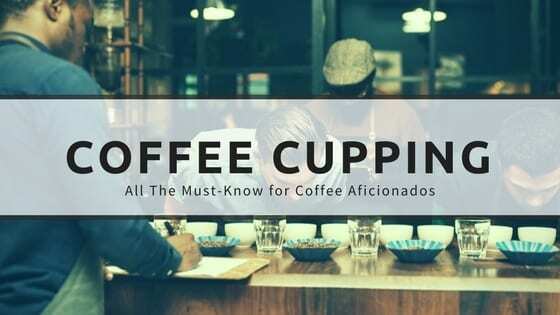 We hope this article provided you with fruitful answers to the question what is coffee cupping. Please don't hesitate to share your coffee experiences with us in the comments.